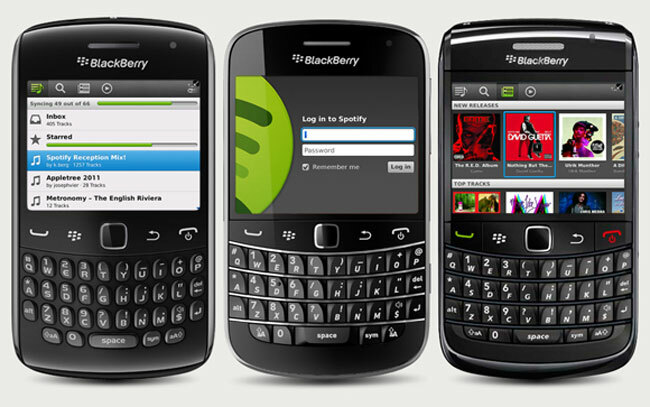 Spotify has announced that is BlackBerry app is now out of beta and available for all compatible BlackBerry devices, which include the BlackBerry Bold 9780, Bold 9700, Curve 9300, Bold 9000, Curve 8520, and the app only supports devices running on GSM networks. We excited to let you know that our BlackBerry app is no longer a Preview release and is now available to any user with a compatible phone. To download the app simply point the browser on your phone to m.spotify.com and follow the installation instructions. You can find out more details about the Spotify Blackberry App over at the Spotify Blog.